Sensing Murder is a popular TV show in New Zealand that airs in Australia on Foxtel and author Nicola McLoy has written a book by the same name which covers cases which have aired on the TV show and provides background on the show itself. For those that haven't watched the show, each episode centres around a real unsolved murder or missing person's case in New Zealand. The Sensing Murder team consists of psychics and private investigators who work together to try to unearth new facts on these cold cases. The show has won several awards and is one of the most watched TV programs in New Zealand. If you're a skeptic, it's fair to assume you probably won't enjoy the program however many of the cases have been featured on the show as a result of requests from victim's families and legitimate information (including suspect names, addresses, descriptions, car registrations etc) have been provided by the psychics. Some of this information has been verified by Police or friends and family of the victims but other details have provided breaks in the case files for Detectives and Police, and in some cases have needed to be bleeped out. 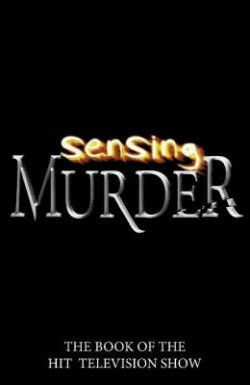 As a fan of the show myself, I enjoyed reading Sensing Murder, which is an extension to the program. This certainly isn't a book for everyone, and admittedly it has a limited target audience, although those interested in true crime might also enjoy reading the cases. Thank you so much, that's really nice to hear. I love watching Sensing Murder - it always gives me chills when the psychics are so eerily accurate! I will have to look for this book. Hi I just stumbled across your blog and I see that we have similar reading tastes, so I am now your newest follower. I would love for you to stop by my blog and check it out. I really hope to see you there and happy reading! Hi Kimberlee, thanks for visiting and for becoming a follower :-) Great to hear we have similar reading tastes, I'm off to check out and follow your blog. Hi, I do believe this is a great site. I stumbledupon it ;) I'm going to revisit once again since i have book marked it. Money and freedom is the greatest way to change, may you be rich and continue to guide others.